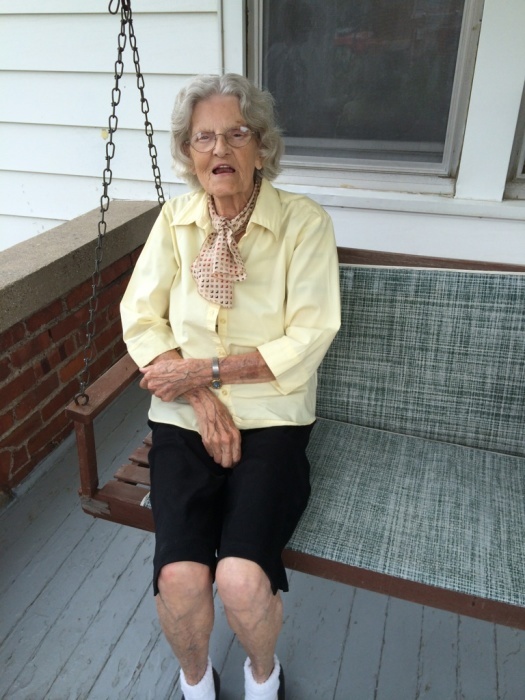 Norma June Halteman, 94, of Gillespie, IL, died at Heritage Health of Gillespie, IL on Friday, March 29, 2019 at 4:23 pm. She was born November 13, 1924, in Divernon, IL to Lester Slightom & Ruby (Wyatt) Slightom. She married John Halteman nearly 75 years ago on April 7, 1944 in St. Louis, MO. After welcoming their 7 children, the couple owned and operated two businesses, including the Western Auto store in Gillespie, from which they retired in 1985. Norma's family and friends will remember her as a kind, funny and generous woman who loved to share stories over a cup of coffee. Norma was physically active well in to her late 80s and invited anyone to join her for her daily 3 mile walk if they could keep up. She and John enjoyed golfing together and mastering the local courses near their home. She was an active and dedicated member of the Order of the Eastern Star. She joined November 1957 and earned her 50 year pin in 2007. She was a homemaker. She is survived by her spouse, John Halteman of Gillespie, IL, children, Carol (Dave) Matheson of Springfield, IL, Bob (Janice) Halteman of The Villages, FL, Perry (Kim) Halteman of Mt. Olive, IL, Rita (Les) Kingery of Ward, AR, Nate (Vicki) Halteman of Carlinville, IL, and Mary Ann (Ron) Drennan of Springfield, IL. No conversation with Norma was complete without at least one story about her pride and joy, her 17 grandchildren, 38 great grandchildren and 9 great great grandchildren. Norma was preceded in death by her parents, son, John Q Halteman, granddaughter, Jennifer Rebecca Davis, brothers, Lester Slightom and Robert Slightom. A private family gathering will be held at a later date. In lieu of flowers and in honor of Norma's love for dogs, the family requests donations to Adopt A Pet, PO BOX 53, Benld, IL 62009.